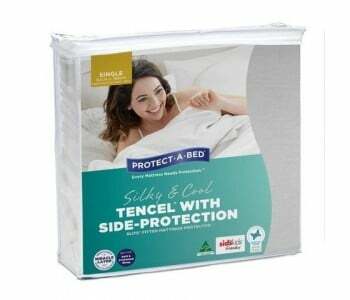 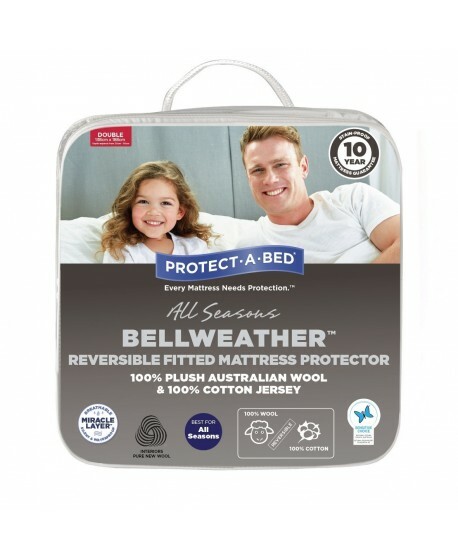 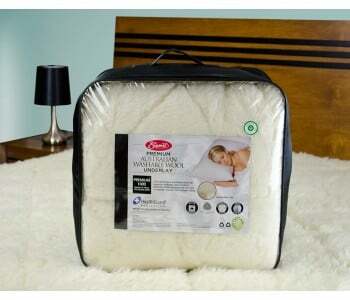 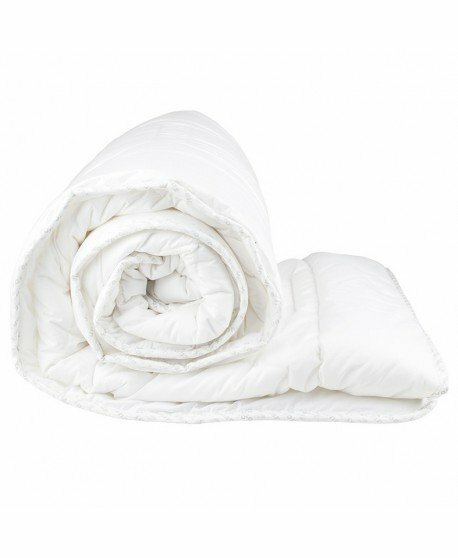 The Bell Weather Reversible Australian Wool Fitted Mattress Protector offers you a versatile mattress protector that is perfect for all seasons. 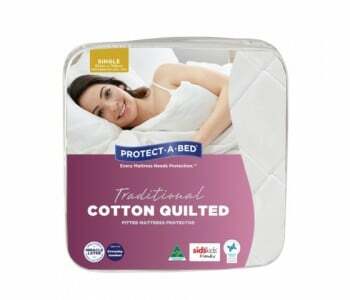 This reversible mattress protector features 100% Cotton Jersey on one side and 350GSM of 100% Australian Cotton on the other side, thus giving you a plush and comfortable sleeping surface. 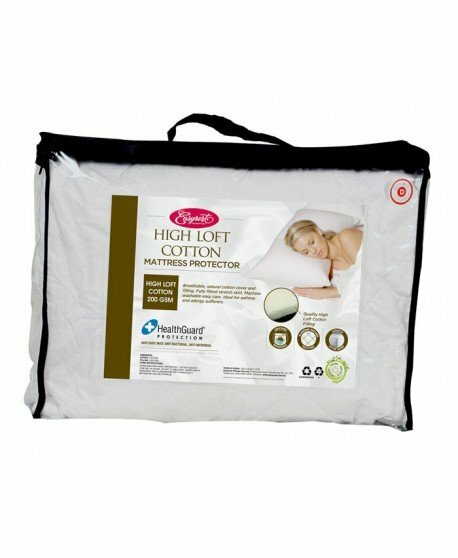 Protect your mattress from spills and stains while enjoying a more comfortable sleeping experience. 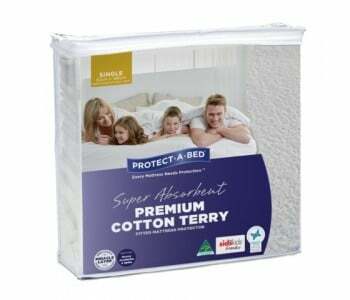 Featuring an Expandall fitted sheet style, this mattress protector fits all standard and extra deep mattresses and is easy to use. 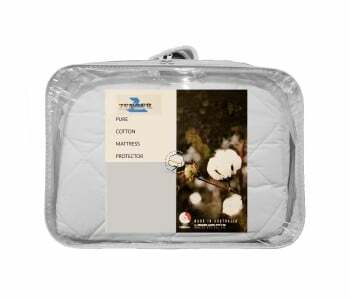 Easy to use, easy to maintain (machine washable and tumble dry compatible)and with a wide range of smart features, this mattress protector is a perfect addition to your mattress. 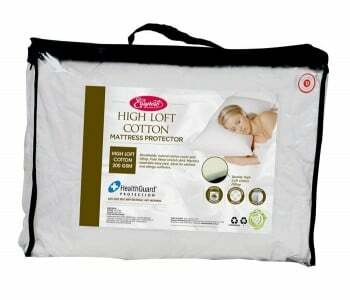 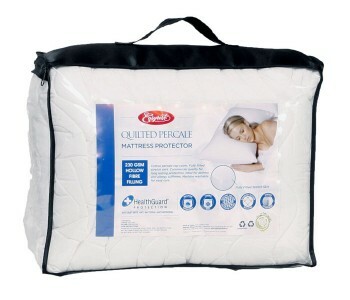 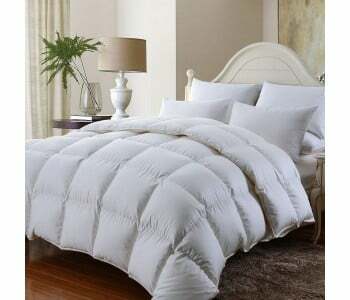 What makes this mattress protector perfect for either summer or winter is its reversible feature. 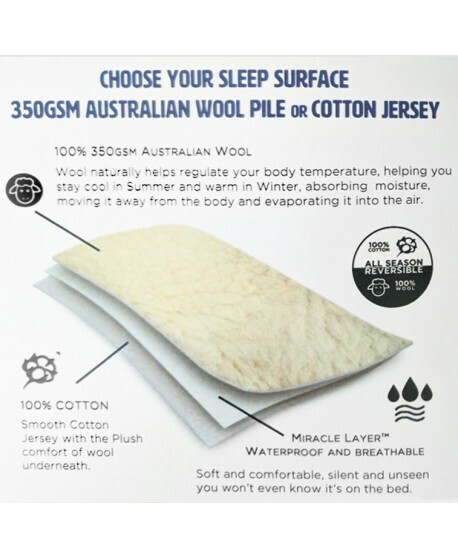 On one side you get 350GSM of 100% Australian Wool - a material that helps you stay warm in the winter and on the other side you get 100% Cotton Jersey - a material that promotes air circulation thus helping you stay cool during the summer. 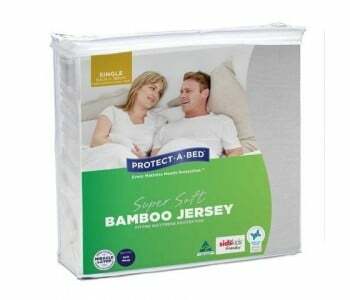 Simply choose which side you want to use to have the best mattress protector that works for you. 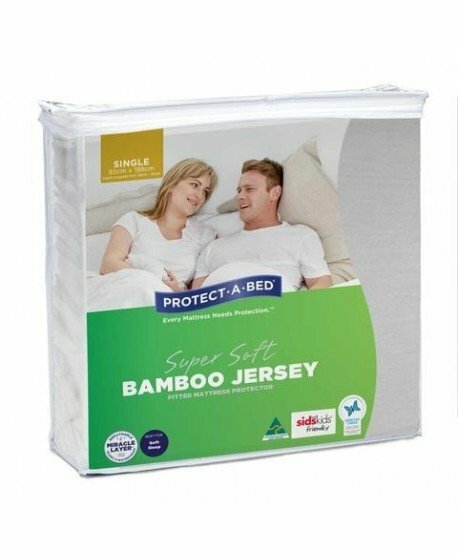 One side of this all-seasons mattress protector uses 100% Cotton Jersey. 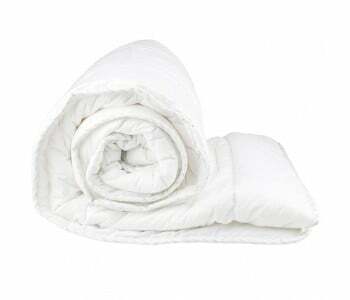 This finely knitted 100% cotton material promotes air circulation and moisture dissipation so you remain cool and dry in the summer. 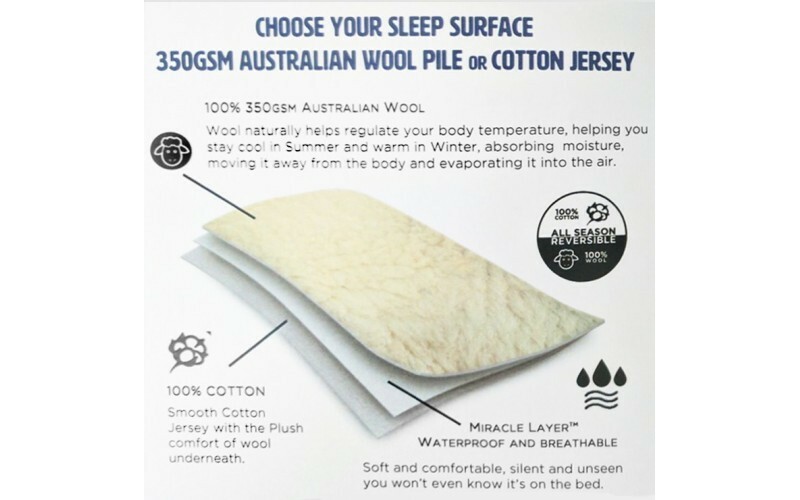 On the other side of this versatile mattress protector side, 350 GSM of 1005 Australian Wool Pile is used to create a plush sleeping surface perfect for winter. 100% wool helps regulates temperature and dispells moisture so you remain comfortable during winter nights. 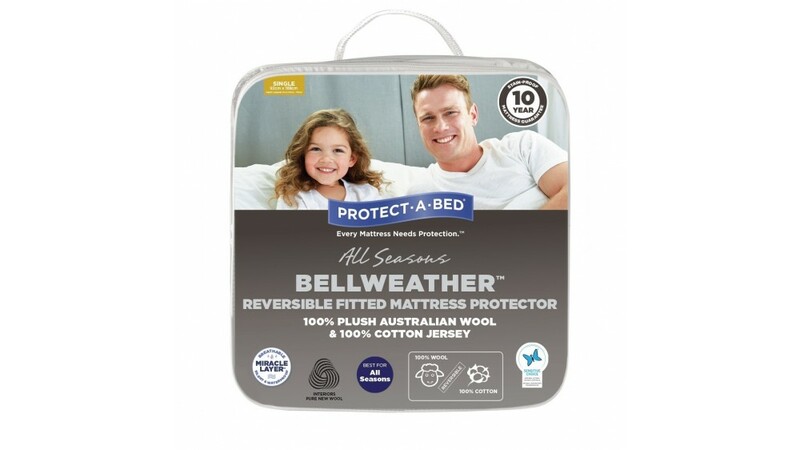 Moreover, 100% wool is naturally anti-bacterial and inhibits the growth of mould, fungi and other allergens, thus protecting you and your family. 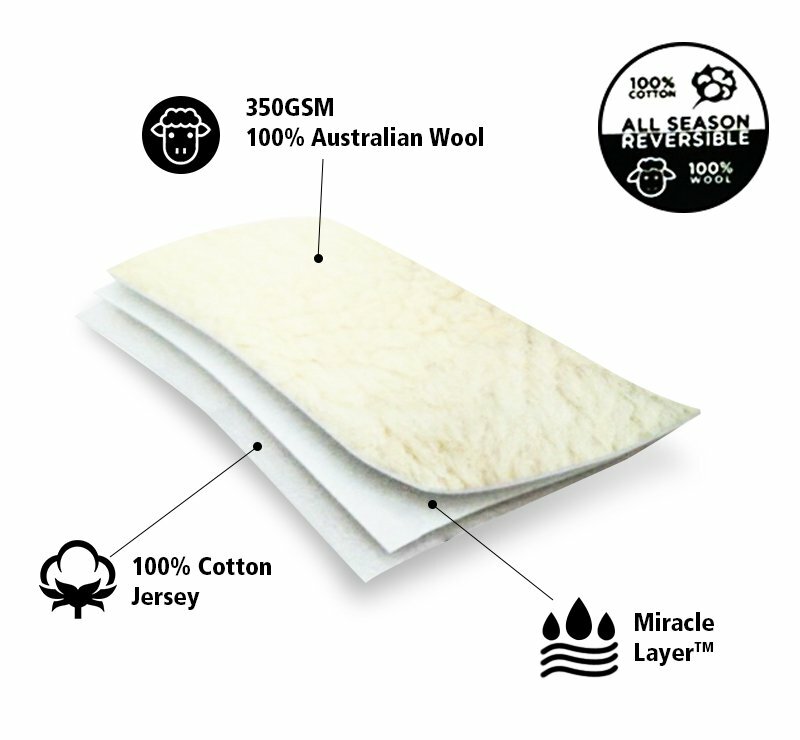 The cotton and wool layers are separated by a MiracleLayer™ a unique material that is breathable and waterproof. 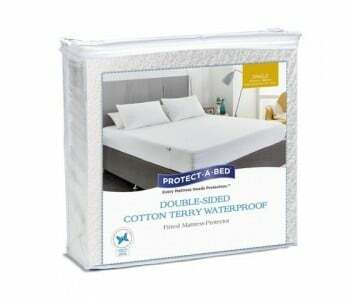 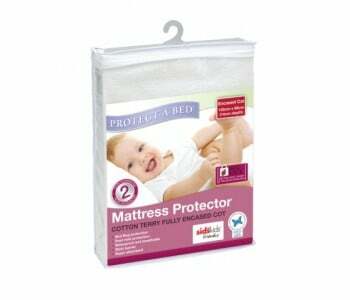 This layer adds softness and comfort to the mattress protector while making the protector waterproof and more breathable. 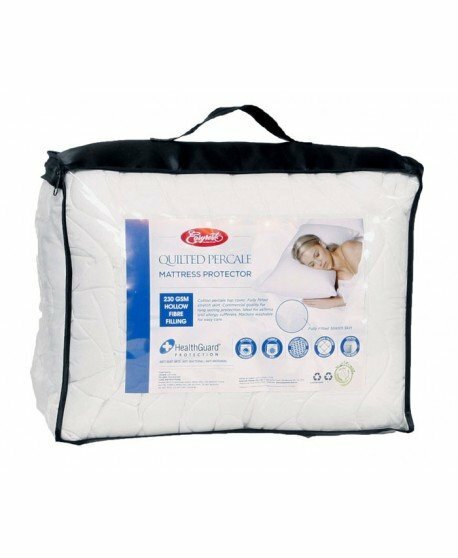 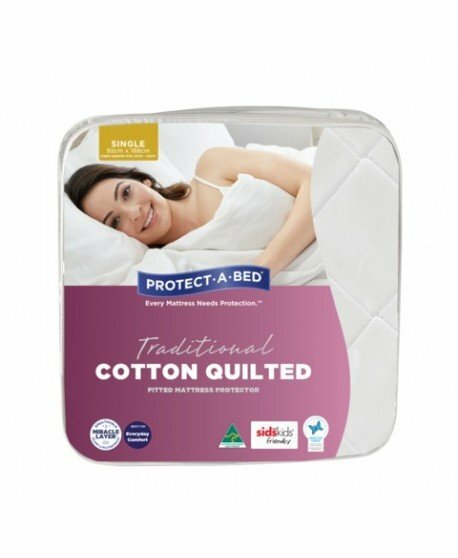 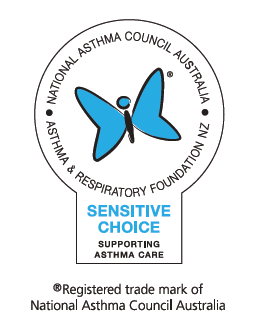 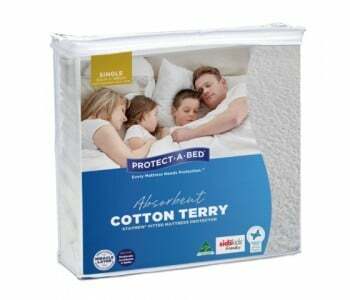 This mattress protector is certified by the National Asthma Council of Australia and the Respiratory foundation of New Zealand's Sensitive choice program. 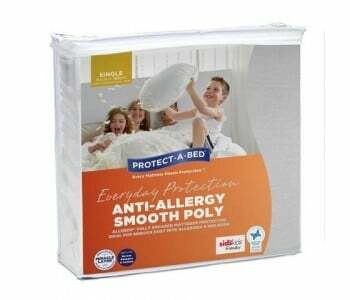 This means that your mattress is made from quality materials that is safe to use by those suffering from asthma. 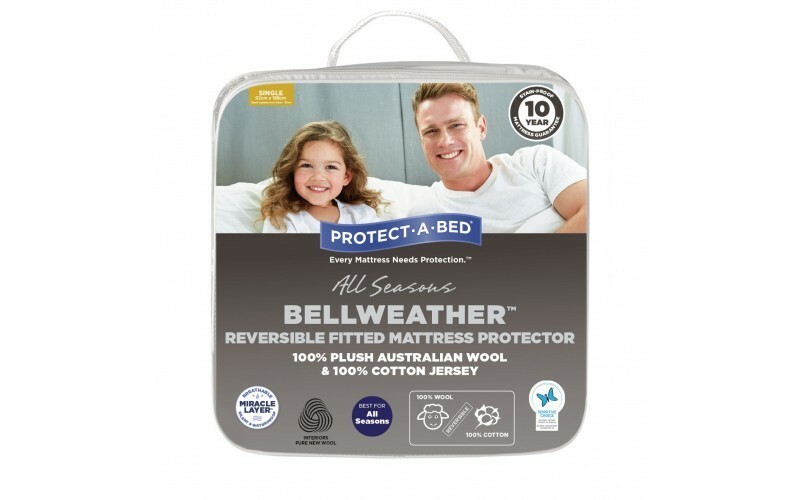 All items in-stock are available for Next Day Delivery for Sydney Metro Orders. 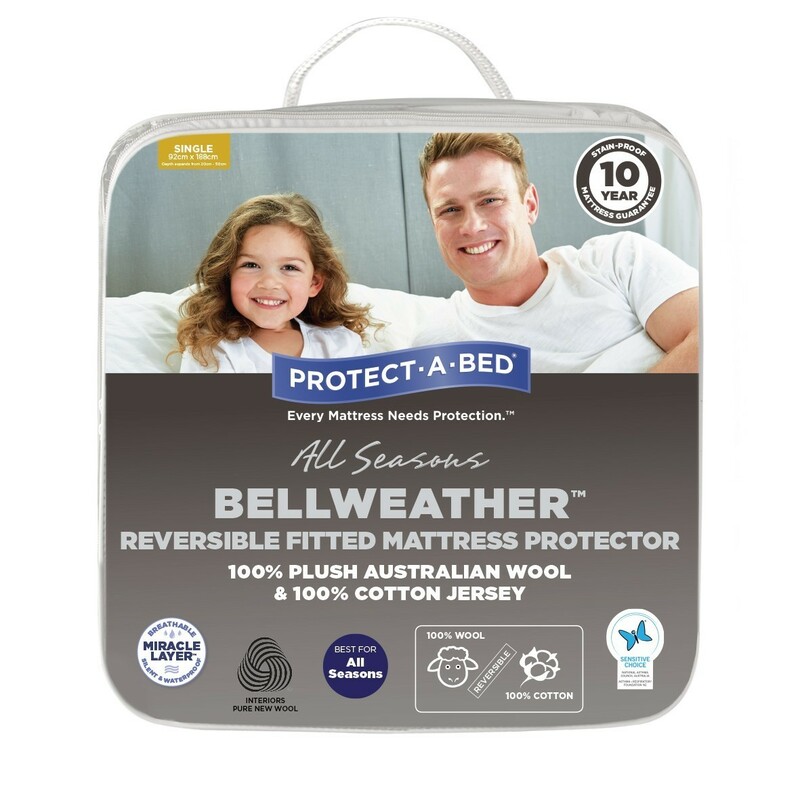 Ask us if you can get your Bell Weather Reversible Australian Wool Fitted Mattress Protector delivered to you by tomorrow!